Chief of Army Staff (COAS) General Raheel Sharif has said that the future of Pakistan can only be secured through an educated and passionate youth. 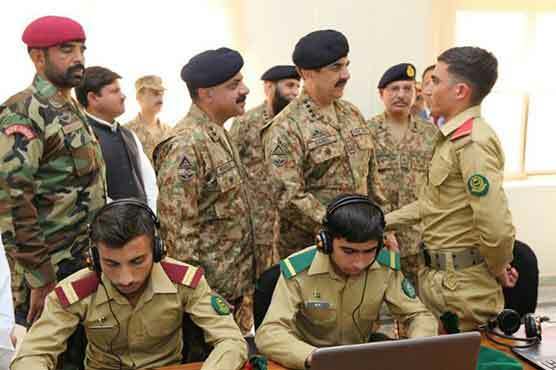 “It is imperative for us to raise the youth’s potential to the optimal level so that they could measure up to the challenges of today and tomorrow,” the army chief was quoted as having said by the Inter-Services Public Relations (ISPR), while talking to tribal elders and cadets after inaugurating a newly-constructed building of Spinkai Cadet College in South Waziristan on Thursday. General Raheel Sharif also lauded the role of the army and tribal elders in defeating terrorism, and said the army would continue cooperating with the local people until completion of the reconstruction process in the region. He said the entire world had acknowledged Pakistan’s role in eliminating terrorism and wanted to learn from the country’s experiences in successfully dealing with the menace. General Raheel thanked the local tribal elders for providing land for the cadet college and expressed gratitude to the United Arab Emirates (UAE) for financing the project. According to the ISPR, the college is one of the many institutions being built in the remote areas of FATA.